found on imageboard, it's famous image probably from artbook. awww....this is so pretty! i really like the soft colors in this one. the wolf look so gorgeous. very nice scan. thanx for sharing. Oriya-chan! this is beautiful!. long time ago you asked me make a wallpaper from kiba and cheesa. can i use this scan o you would like see the human form of kiba? Its Cheza and Kiba , awww they look so cute , im definetly going 2 add dis 2 my fave's ! 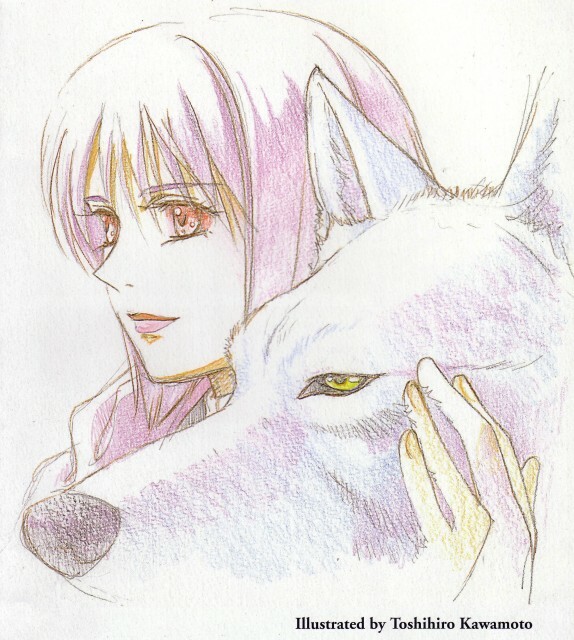 Im such a sucker 4 Wolf's Rain. 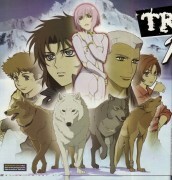 I widh they had made a Wolf's Rain movie and also make anozer season instead of 1 season ! Lovely artwork, wish I could draw like that. Aw, they are so cute :x Thanks for sharing this!